Pour notre deuxième journée dans la région de Canet-Plage, nous avons encore une fois suivi les recommendations de nos amis. Nous avons pris la route N116 pour nous diriger à l’intérieur des terres. Notre premier arrêt fut le site “Les Orgues” regroupant une série de cheminées de fée, des formations de roches friables qui sont sculptées au fil des ans par les éléments. Éventuellement, elles vont s’effronder mais pour l’instant ces cheminées donnent un endroit très féérique. Nous avions vu ce type de formation à Bryce Canyon dans le Sud-Ouest américain et en Cappadoce en Turquie, mais il est toujours agréable de se retrouver dans un de ces sites. 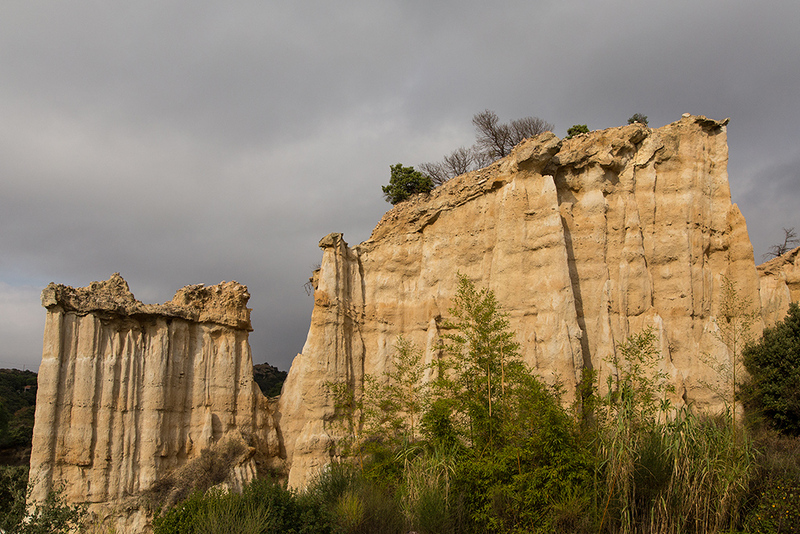 For our second day in the region of Canet-Plage, we once again followed the recommendations of our friends. We took the Route N116 to head inland. 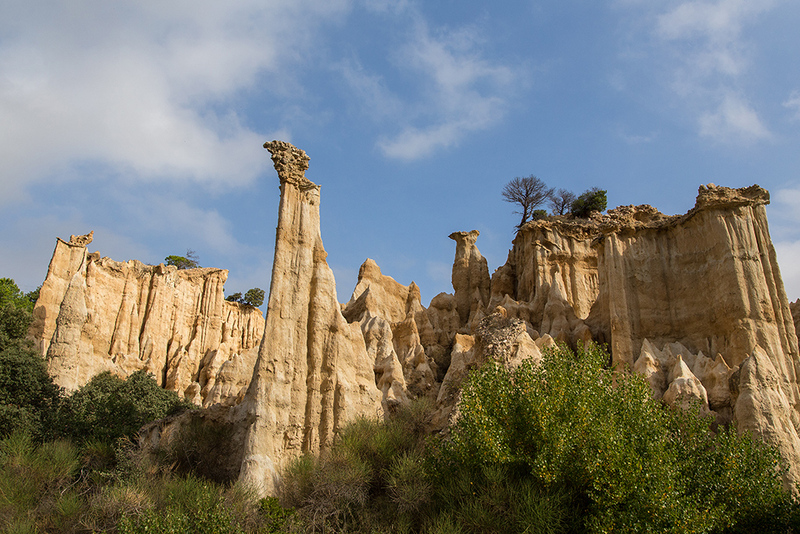 Our first stop was the site “Les Orgues” grouping a series of hoodoos, formations of friable rocks that are carved over the years by the elements. 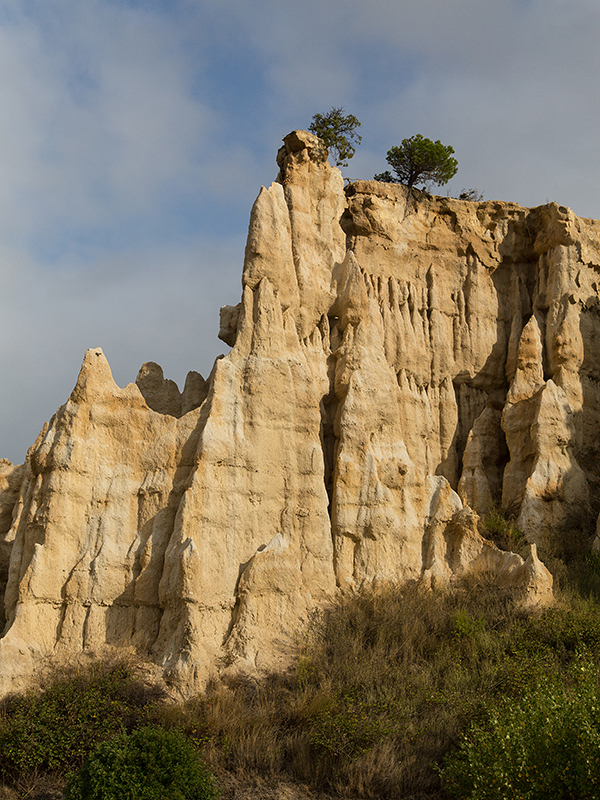 Eventually, they will collapse but for now these hoodoos provide a very magical place. 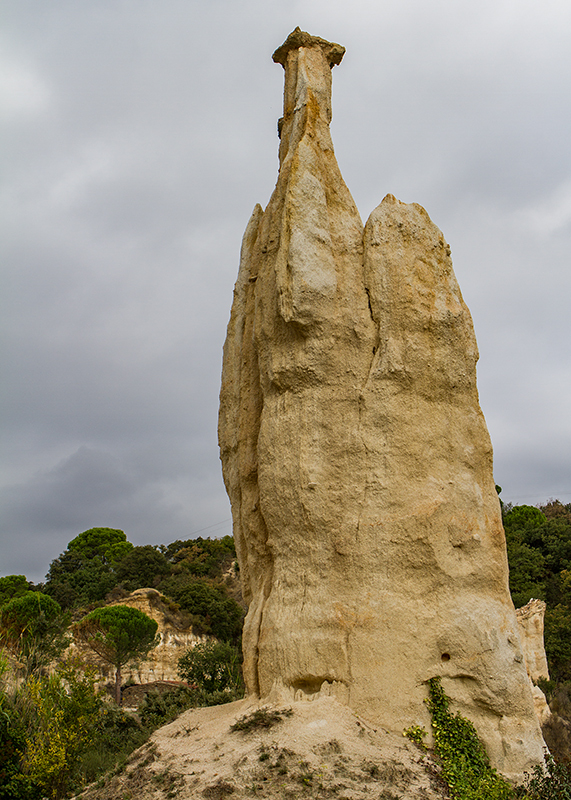 We had seen this type of rock formations in Bryce Canyon in the US Southwest and in Cappadocia in Turkey, but it is always nice to visit one of these sites. I have seen these, years ago, but didn’t get a photograph! Thanks Sue. Glad to provide a good reminder of your visit. It is a very fascinating place. Thanks for your note. Glad you enjoyed this series. It was indeed a very fascinating place. Merci Marie. Bien contente que cette série ait su vous plaire. C’était un endroit très fascinant. Nous aimons bien ce genre de formation rocheuse. Almost looks like a mystical castle. You can almost imagine the fairies dancing there at night. Fun! Thanks Jacqui. Yes, there is a magical feel to this type of formation. 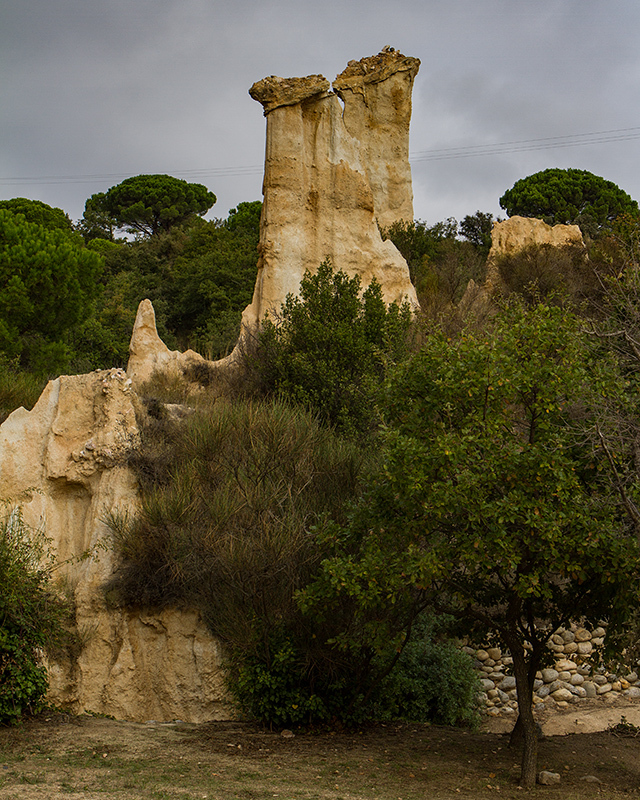 And in French, these hoodoos are called “Fairy Chimney” so you aren’t totally wrong in imagining fairies. 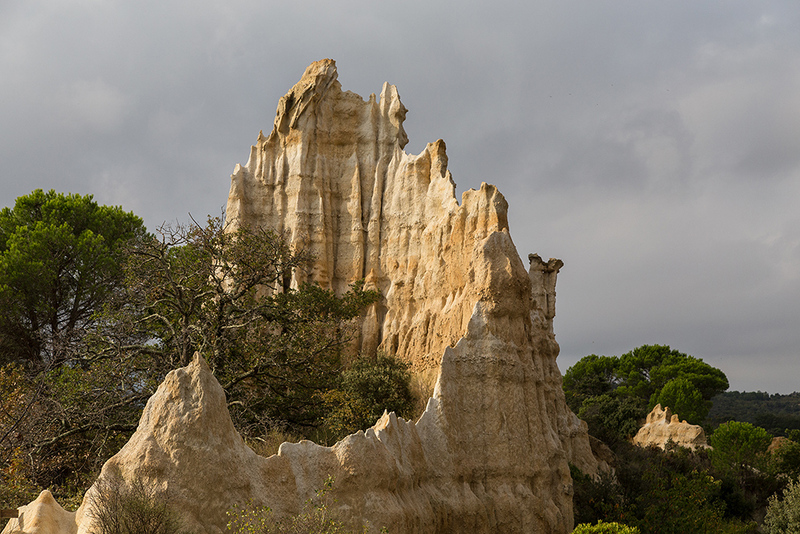 I had no idea such formations existed in France! Your blog is a gateway to endless discovery. 🙂 Wonderful photos, too — you have somehow captured both the enormity of these structures and their details in a single frame. Thanks Heidi. We must admit that we didn’t know either until our friends told us about the formation. It was quite a fascinating area not as spread-out as Bryce Canyon and not as pink but still very interesting. Glad to have been able to get you to discover a new place. 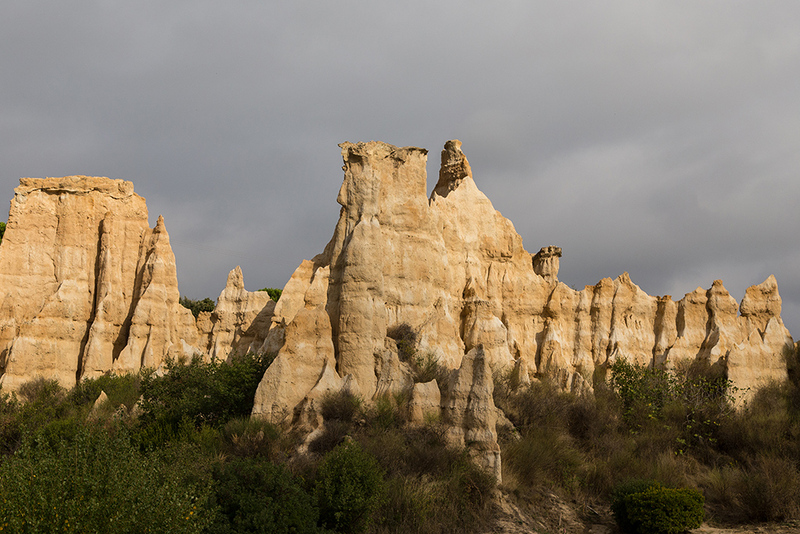 I didn’t know France had hoodoos either! Great photos of them. Thanks Anabel. I didn’t know either. So a discovery for everyone. Glad you enjoyed this series. Beautiful captures! 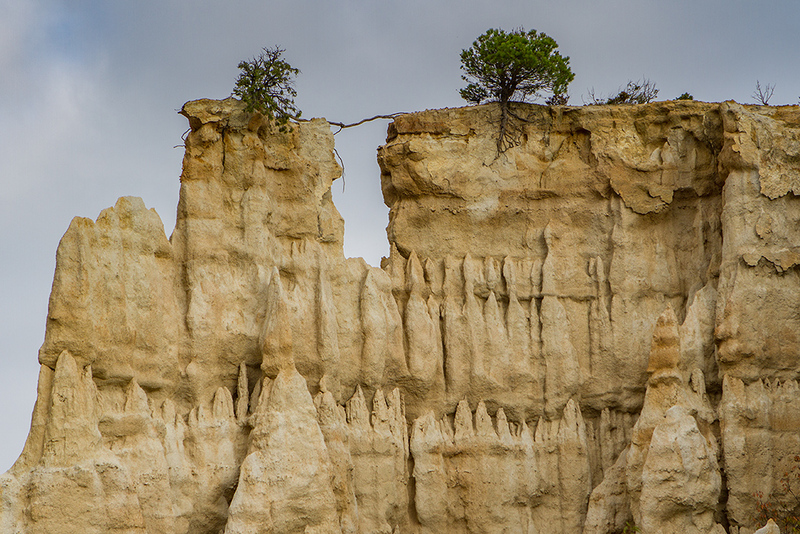 I’ve seen the “hoodoos” in Bryce Canyon, there are so many there! 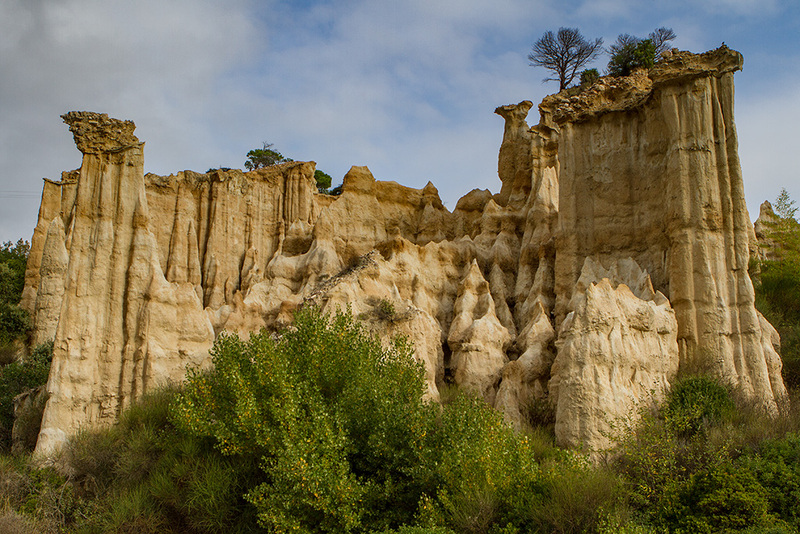 I even experienced hearing hoodoos at night collapsing, as temperatures cooled down. It was really eerie, and sad at the same time. Thanks for your note. 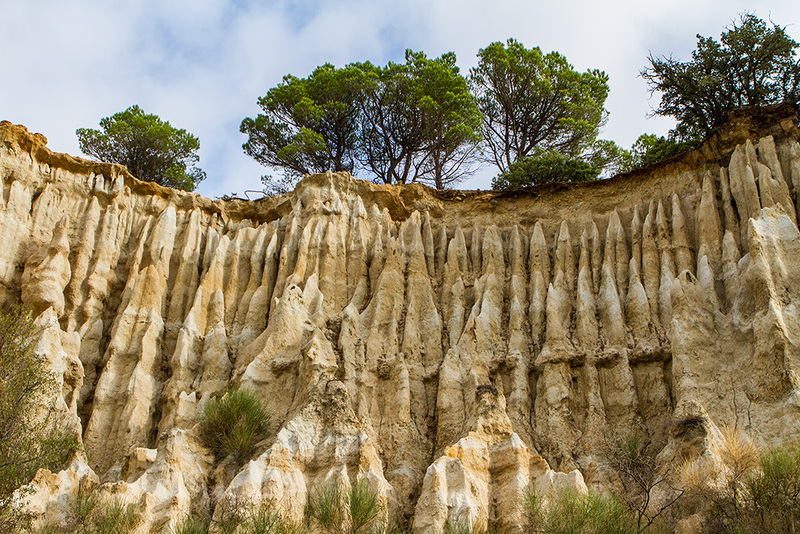 Quite fascinating to be able to hear them collapsing though obviously sad but it is part of the natural process of these formations. We saw the hoodoos of Bryce with a slight coat of snow which was quite amazing as well. Glad you enjoyed this series. Merci Eva. C’est un endroit à ne pas manquer si vous passer dans la région. Les formations sont fascinantes.